E-fit of man detectives would like to speak to in connection with burglary in Todmorden. Bogus workers ransacked a pensioner’s home after claiming to be from the water board. 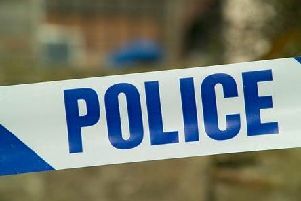 Two men entered the 85-year-old’s home on Lineholme Avenue, Todmorden, between 5.30pm and 6pm on Monday, November 9. One of them got into the property and searched for items to steal without the victim’s knowledge after they claimed to be from the water board. They are described as white, 30 to 35-years-old, around 6ft tall and of slim build. Detectives have now released an e-fit image of a man they would like to speak to in connection with the incident. Det Con Eileen Walsh, of Calderdale CID, said: “Thankfully, the victim questioned the males’ motives and they left empty handed but that wasn’t before a search was carried out by one of the males unbeknown to the victim. Anyone with any information should contact Calderdale CID on 101 or Crimestoppers, anonymously, on 0800 555111.